Making email campaigns more effective: Send time optimization – Czeller Ildikó, Emarsys Technologies Kft. 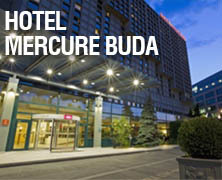 | Budapest BI fórum 2017 | 2017. november 14-16. Data Scientist, Emarsys Technologies Kft. I work in the Emarsys Data Team for more than 2 years now after finishing my masters in Mathematics. I am most inspired by the variety of our tasks: we see through a data related projects from the birth of a new idea through implementation to explaining results and interesting phenomena to clients of non-technical background. Besides work I am a mentor at the Budapest RLadies meetup and teach Software Engineering to high-school students.